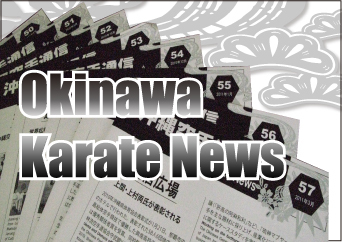 Register your e-mail and receive update about this site, Okinawa and karate news. Created and nurtured in Okinawa, karate and kobudo are still preserved and passed on in the archipelago of the Ryukyus, 1500 kilometers southwest from Tokyo. These martial arts were developed in an environment completely different from Japan. Indeed, Ryukyu was the name of a kingdom officially independent until the end of the 19th century. In Okinawa, the people, culture, languages and customs are different from mainland Japan. 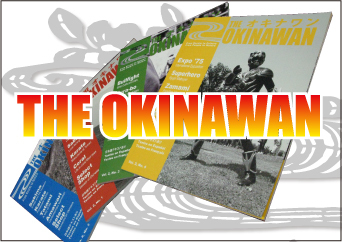 THE OKINAWAN is a magazine passport to discovering the essence of Okinawan culture and karate. Acting as a complementary publication, OKINAWA KARATE NEWS is a monthly newsletter that brings you information of what is happening today in the circles of Okinawan karate and kobudo in Okinawa and worldwide. Copyright 2010 Okinawa Media Planning.